Marshall Faulk is the only player to amass 12,000 yards rushing and 6,000 yards receiving. Faulk was inducted into the Pro Football Hall of Fame in 2011. 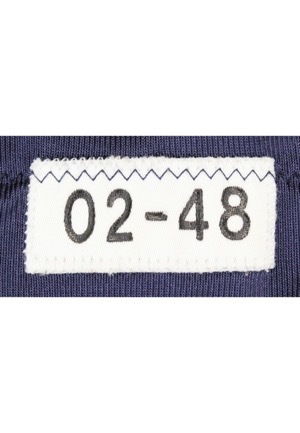 In the rear neck is a strip tag reading “02-48” representing the year and size. On the v-neck is the “NFL EQUIPMENT” shield logo patch. 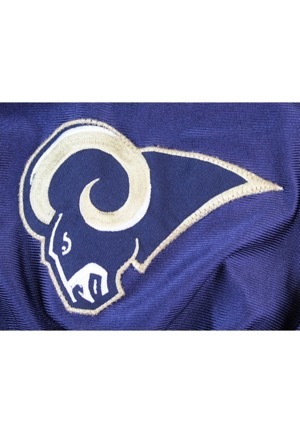 Beneath this reads “Rams” embroidered in white on blue. 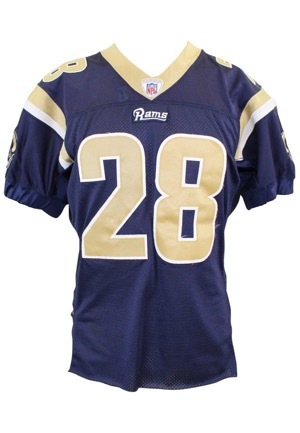 Across the front, back and on both shoulders is the player number “28” in gold on white tackle twill. 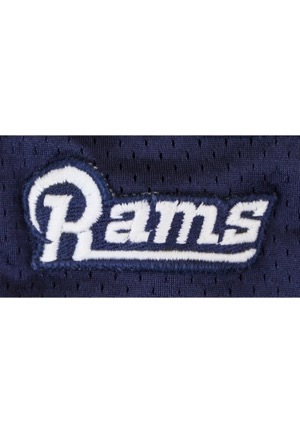 Beneath the player number on the shoulders is a “Reebok” logo and a Rams team logo. 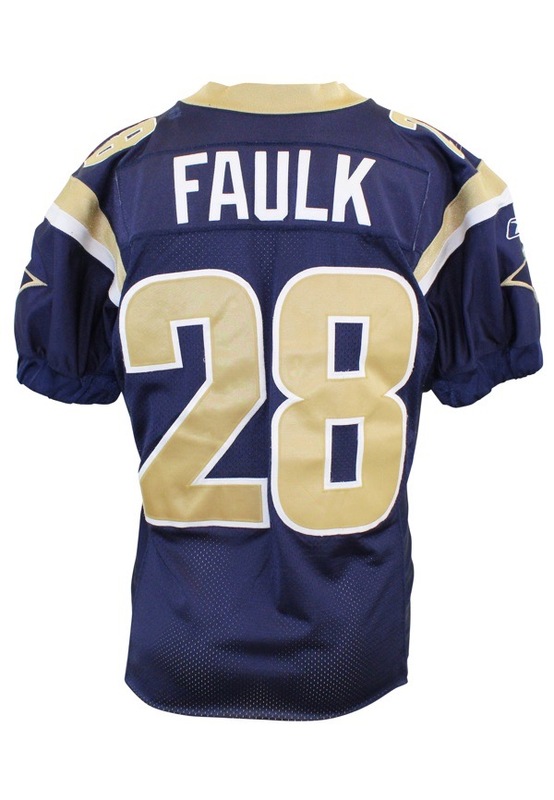 Across the back on a navy blue nameplate is the player name “FAULK” in white tackle twill. There are repairs on the back left shoulder and next to the v-neck. The jersey has been custom cut short. This jersey is properly tagged, was presented to us as game-used and in our opinion shows excellent use.